Neapolitan Struffoli is an easy and tasty recipe. A big temptation usually placed in a domed cake plate during the festivities, and the dessert most swiped by the kids! The dough is averagely sweet, because of the honey, and the sugar decorations, and candied fruit. 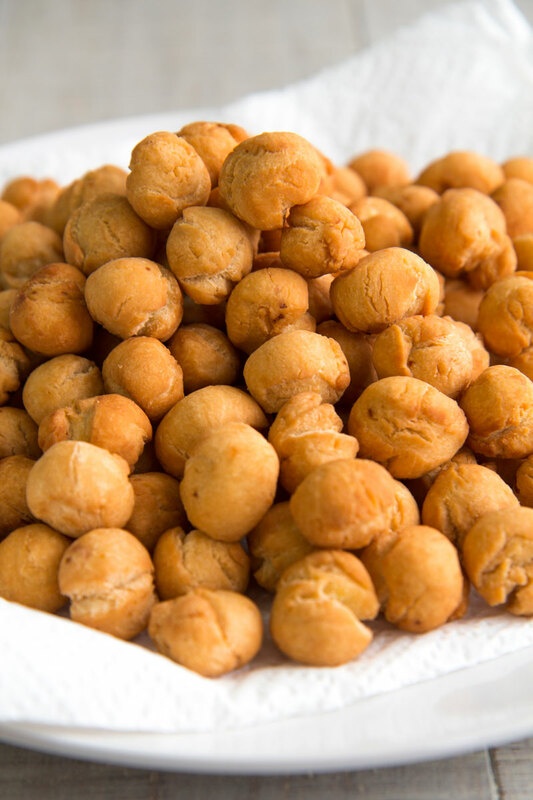 The size of Struffoli is maxed 3/4 inch in order to obtain little spheres perfectly fried and crispy. Even if Struffoli are delicious just cooked and glazed, they are even better a couple of days after, when the honey has penetrated the balls giving them more flavor. As many Neapolitan dishes, Struffoli recipe originates from Ancient Greece and Medieval Spanish cuisines. The term Struffolo results from the Greek Strongoulos, that’s means “rounded”. It seems the recipe that inspired Struffoli is the Greek Loukoumades; sweet fritters glazed with honey, date back to Magna Grecia Era. Another recipe different by shape but with similar ingredients is the Spanish Piñonate, based on anise, lemon, and honey. 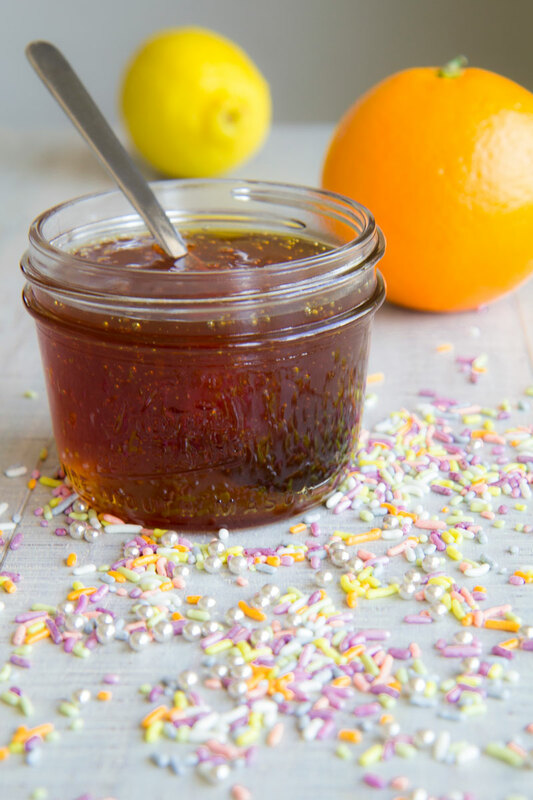 This sweet is typical at Easter time and introduced in Naples by the chefs of Ferdinand II of Aragon in XVI Century. Formerly, Struffoli have been kneaded and fried with lard. Currently, is common use butter instead of lard into the dough, and sesame oil to fry them. Another recent addition is a pinch of baking soda into the mixture. The traditional liquor to flavor Struffoli is a Neapolitan anise Brew but is not easy to find. That’s is frequent replace anise liquor with Rum. Brandy is another excellent option. Born in Naples, Struffoli have been spread out quickly into the Southern Italian Cuisines with some little differences. In Abruzzi, this recipe is called Cicerchiata, because of the shape of this honey balls, similar to Cicerchie, a local bean. In Calabria, Struffoli are named Porceddhuzzi, and shaped as dumplings that remember little pigs in honor of San Antonio Abate, portrayed along with a piglet in the historic icons. 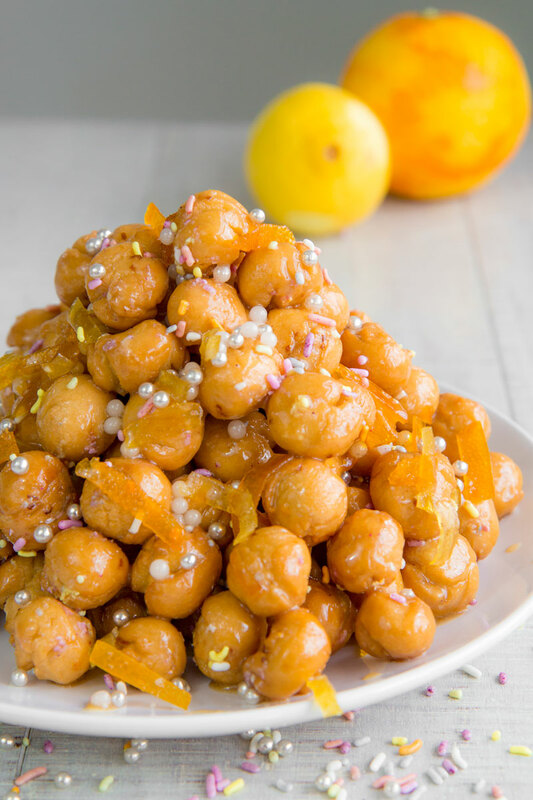 ‘Mpagnucate are the Sicilian version of Struffoli, and typical on Carnival days: the ingredients are almost the same of the Neapolitan recipe, but the result is more crispy. Commonly, Struffoli are stored in a domed glass plate, and shaped into a cone. Another traditional form of this tasty honey balls is shaped like a wreath. On Christmas, an attractive option is inside an horn of plenty made with caramel and crashed hazelnuts. Let the butter soften 30 minutes into the oven turned off with the light on, then cut it into pieces and stir with a fork until smooth and inflated. After that, grate the lemon and orange to obtain zests. 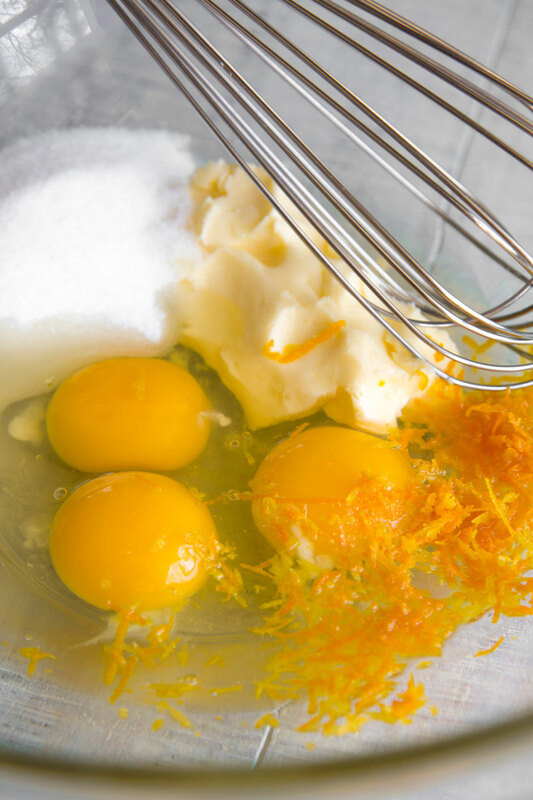 Now, crack the eggs and pour them into a bowl along with the sugar, the softened butter, the lemon and orange zests, 2 drops of Rum or Brandy, 1 drop of Anise flavor, and 1 pinch of salt. Finally, whisk until consistent. Add the flour, a little at a time into the butter and eggs mixture. Pouring the flour, pinch the dough with your fingers until the liquid will be absorbed by the flour, creating a sort of pastry crumbs. 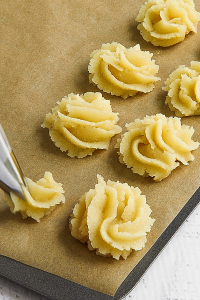 Now, compact and stretch out the crumbs until obtaining a consistent dough. Eventually, wrap the dough ant store into the lower part of the fridge at least 2 hours. 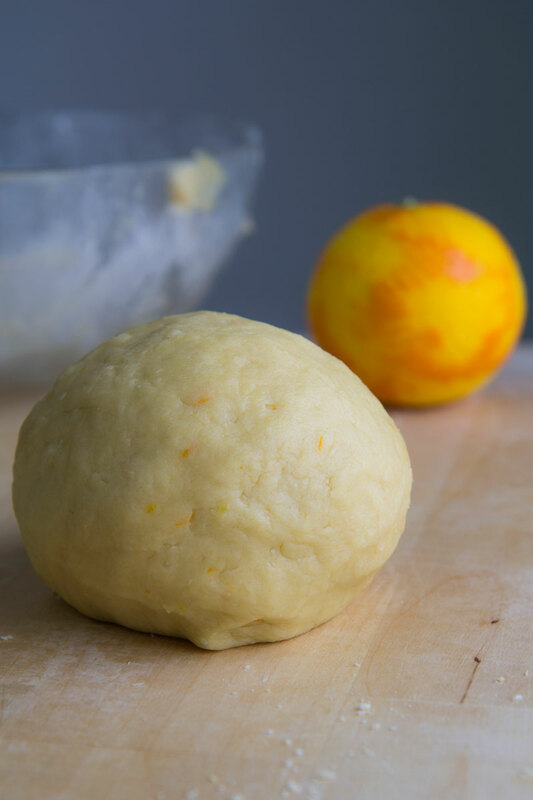 Take a fistful of dough and roll it into a log ½ inch thick. Now, reduce the log into pieces ½ inch long. After that, pour the sesame oil into a pot and place over medium heat until reach 356° F (180° C). Eventually, fry the Struffoli a little at a time until golden, then place on paper towels to dry the oil in excess. 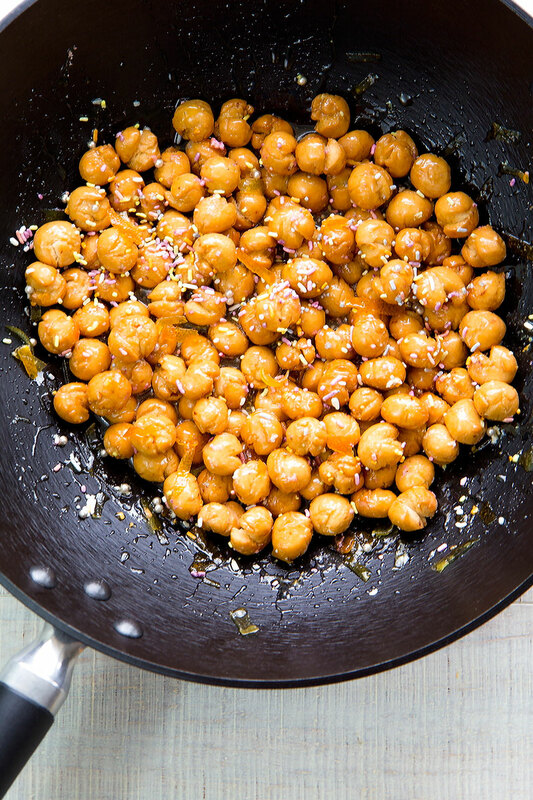 Pour the honey into a nonstick pan, big enough to contain Struffoli. Place the pan over low heat and stir until fluid. Finally, place the pan far from the heat and add Struffoli and sweet decorations. 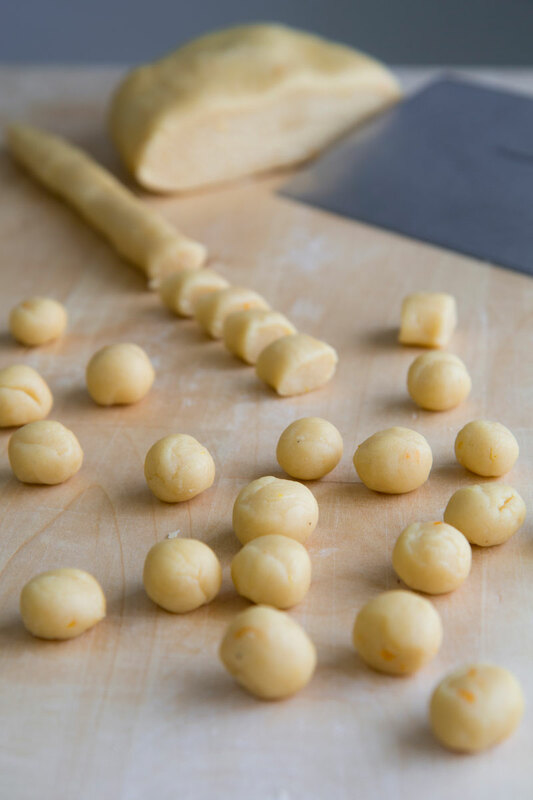 It is possible to serve Struffoli just prepared, but the following days they will be even more delicious! I have heard a lot about this special Italian honey balls! Love all the information and history you wrote about the Struffoli. 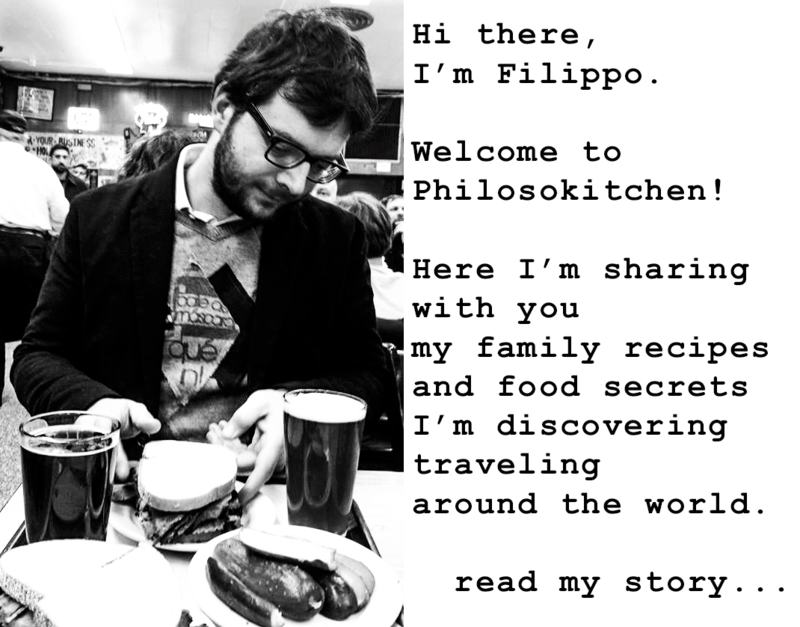 Grazie per la condivisione! I would really appreciate this recipe!! Hello. Parts of your recipe are missing! What happens to the following? We made this today for the first time. Would love your recipe to compare to what we did. How long can the struffoli be kept …stored on a dish? covered with saran or aluminum foil? Please help! Seasoned, the Struffoli can be stored under a glass dome 3 to 4 days. If you want to preserve them up a week, store fried and unseasoned Struffoli in a box, then season and serve.